Kitchen exhaust fan cleaning is critical to maintaining the air quality of a commercial kitchen. The extractor fan uses forced ventilation to pull cooking fumes and smoke out of the room and send clean, cool air back in. If the fan is broken or damaged, the air quality of the kitchen degrades to an unsafe level and the fire risk increases rapidly. Countless restaurants have burned to the ground due to a dirty fan. As such, it’s important to keep an eye out for potential problems and to clean it frequently. It’s a small thing that makes a big impact. 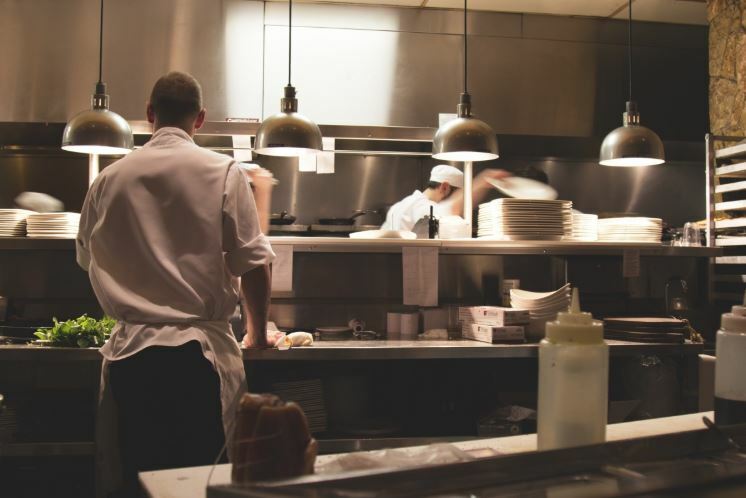 We offer exhaust fan hinge installation in Queens to allow restaurants and commercial kitchens to clean their systems more easily. Per NFPA 96 regulations, all exhaust fans used in commercial kitchens must be hinged for safety reasons. Hinges allow the fan cover to be opened more easily, without the chance of denting or other damage. In addition, hinges also make it easier to clean the inside of the unit and perform any required maintenance. If you need to install an exhaust fan hinges, call us at (718) 237-1725. ​The vast majority of exhaust fans are manufactured with aluminum. Because aluminum is a soft metal, it’s more prone to denting or breaking when the exhaust fan is removed for cleaning and maintenance. By installing hinges on the back of the fan, the covering can be opened without the risk of damage. Taking apart the fan to clean or repair it then becomes much easier. However, due to the number of parts inside the fan unit, we recommend contact a professional to do it. The exhaust fan is one of most common items that lead to violations, which is why we offer our certified exhaust fan repair service. Any dents or damage to the extractor or motor will be evident from the kitchen area due to its noise. Instead of a consistent buzzing, you’ll notice rattling noises or a louder hum than normal. This is an easy item for an inspector to pick up on, so keep an eye out for this. If you come across these issues, the fan should be looked at by a professional to determine whether it needs maintenance, repair, or just a cleaning. Queens Hood Cleaning Pros works with the top fan manufacturers in the US, from GE to Whirlpool, so we maintain a full supply of exhaust fan hinge kits to make sure we have the type you need. In the unlikely scenario that we don’t have it available on the spot, we’ll get it shipped quickly and install it right away. For any exhaust fan hinge installation, servicing, or repairs in Queens, call our certified technicians at (718) 237-1725 or send us an email using the form above.